These Action & Adventure Date Night ideas could be used for a creative date night with your spouse or modified for family fun. A mystery taste test, an action movie, free printables and more ideas to help you start planning your next date night! For the more adventurous couples, your adventure could include a hike or an adventurous activity you’ve always wanted to try together like white water rafting. For a date night with your spouse, you could combine this adventure date night with our romantic scavenger hunt to lead you to your adventurous date. Yes, we have free printables for a romantic scavenger hunt too! 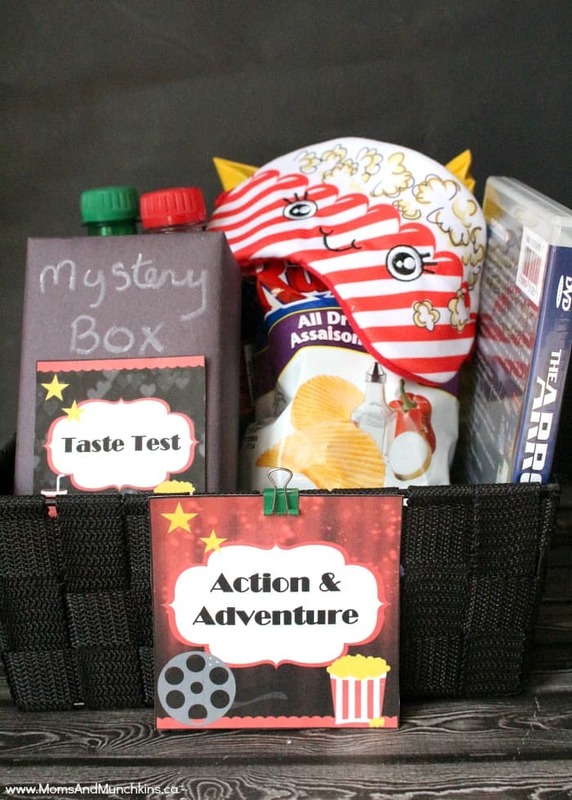 This free printable pack includes 2 pieces – Action & Adventures label and a Taste Test card. 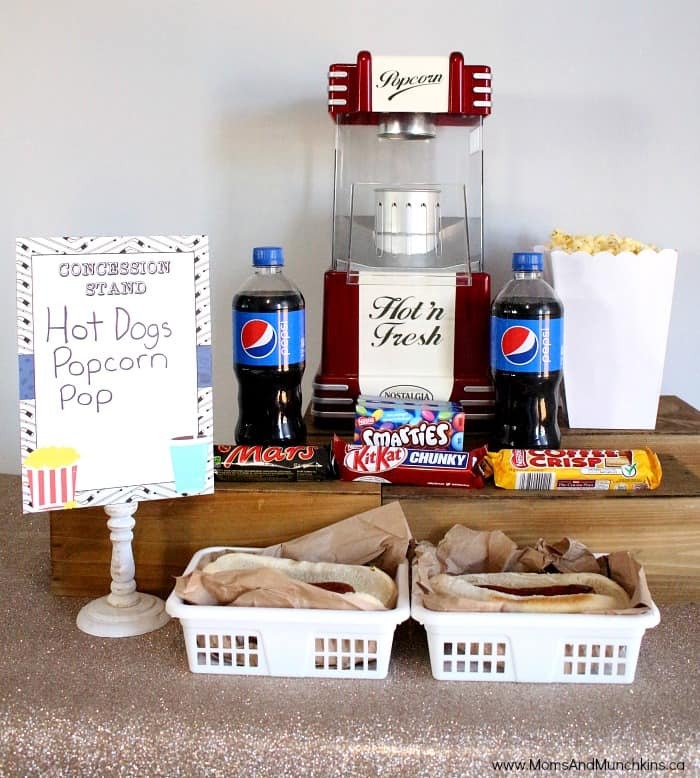 A fun idea is to have a few date night boxes created for your spouse or family to choose from: check out these Campout Date Night and Out Of This World Date Night packages for more fun ideas and free printables! Visit our Date Night page for more fun ideas like a Scary Movie Date Night, Hockey Date Night, conversation starters for a first date, a romantic scavenger hunt with free printables and more! *Movie clipart courtesy of Erin Bradley Designs. Thank you to Wendy’s Printable Party for designing the printables for us!